Need a weeknight meal idea? What about an appetizer for your next get-together? 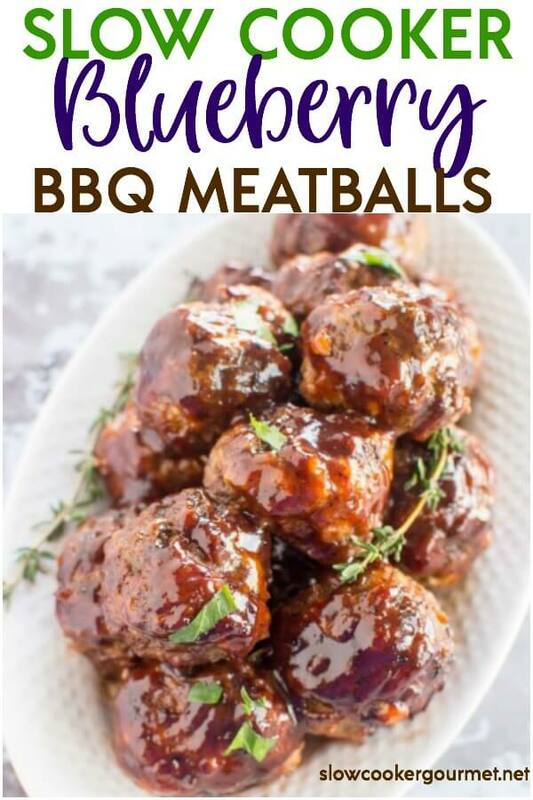 Either way, do yourself a favor and try these Slow Cooker Blueberry BBQ Meatballs! 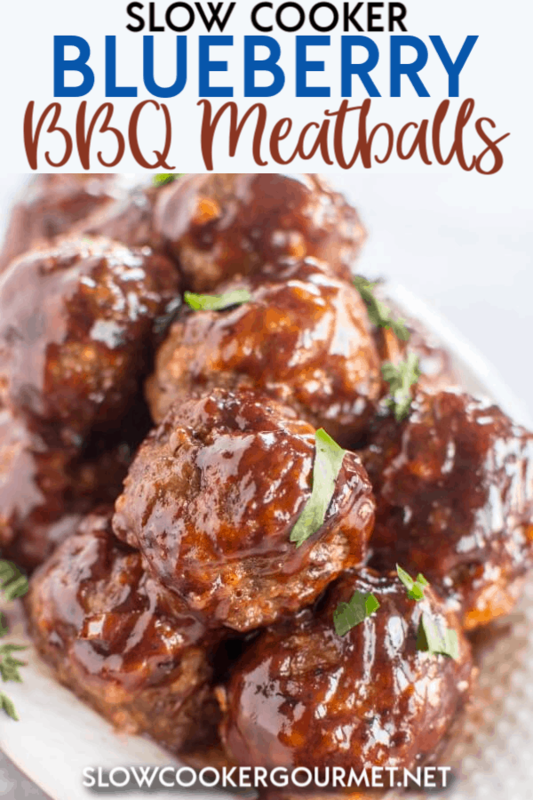 Use the help of your slow cooker and with a little bit of prep work these easy and delicious slow cooker meatballs will be ready in no time at all! I realize it might sound crazy, but I promise you it’s amazing. I actually started out with this concept as a burger and they were mighty good. But to make it even easier I started thinking how to slow cook them and what better way then to roll them into little balls?! Turned out pretty good if I say so myself! And I learned a new little trick along the way for making slow cooker meatballs that I think I’m gonna stick with for awhile. First let’s talk about the sauce. As easy and simple as you like, use your favorite bottled sauce whisked together with blueberry preserves or make your own favorite BBQ sauce from scratch. That’s about all there is to it. What can be used in place of fresh breadcrumbs for meatballs? As much as I’d love to make fresh breadcrumbs I needed to find a realistic short-cut. That’s when I started reading about panko breadcrumbs. Soaked in milk. Perfect! Don’t forget to stuff ’em full of goat cheese and you will have yet another simple but delicious family favorite dinner or perfect appetizer for your next party! 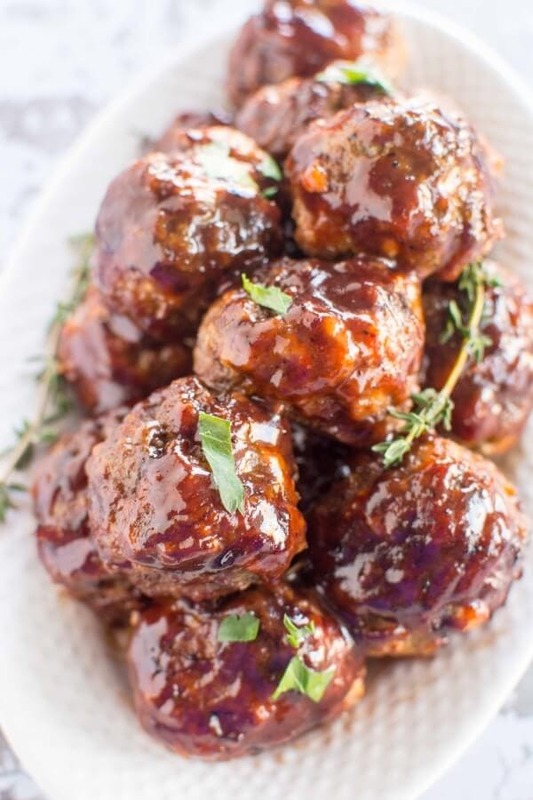 Be warned, whatever the occasion these slow cooker meatballs with be gone quick! Absolutely! 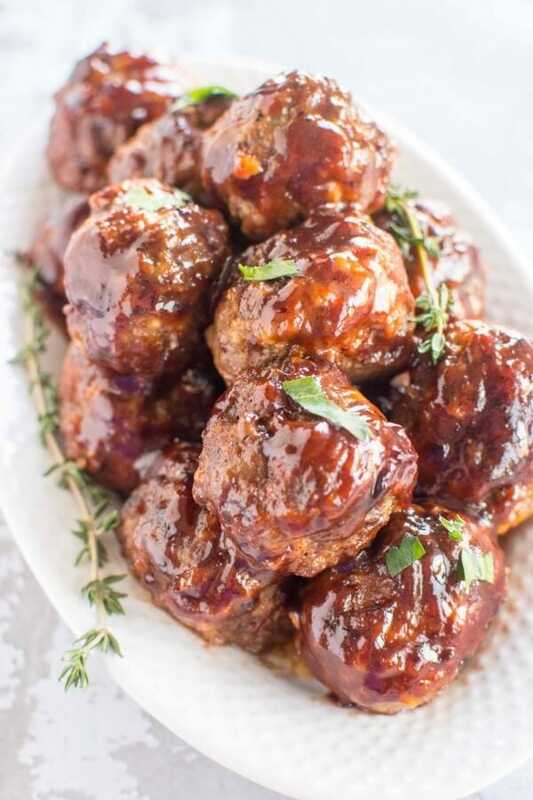 Just follow these tips to make the best meatballs ever! Be careful to not over-work the mixture, use your hands and mix until just combined. 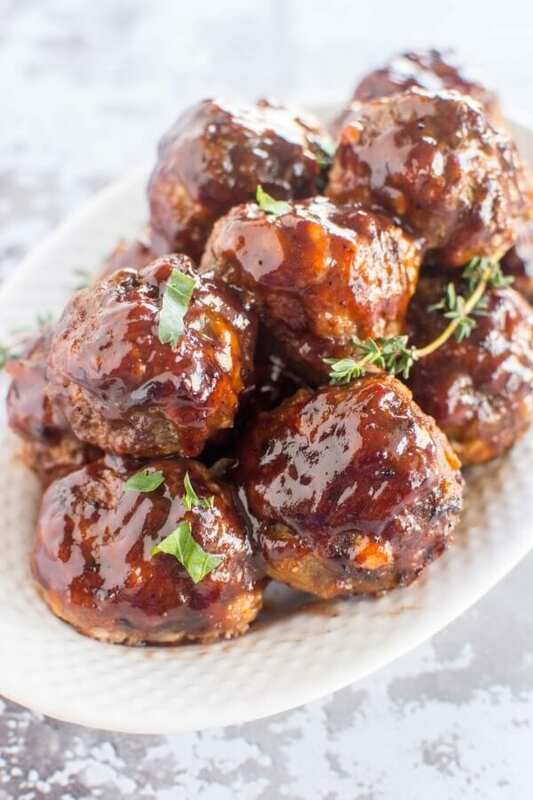 An ice cream scoop is handy in measuring out these meatballs, aim for a size a little bit larger than golfballs. 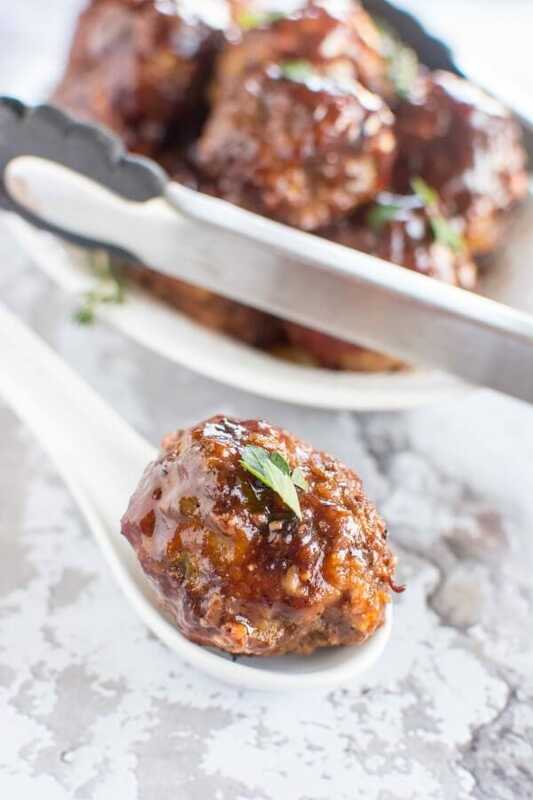 Using an ice cream scoop will ensure the size of your meatballs are the same and help with even cooking. 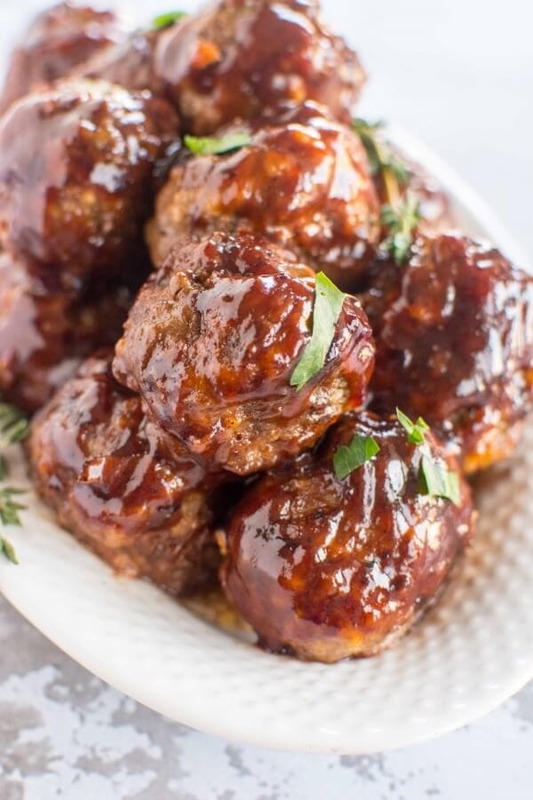 Place the meatballs under the broiler for 5-8 minutes or until they are browned on top. This makes for a delicious texture! Now, just throw them into your slow cooker! 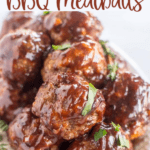 Everyone is sure to enjoy these Slow Cooker Meatballs! Try these other recipes for your next party or get together! 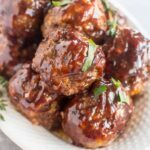 If I use frozen, fully cooked meatballs, how long should I heat them in the slowcooker? Just until they heat through, maybe 1-2 hours on high? I’m going to try this tonight with ground venison and pork. Thank you for a creative idea! I made a double batch, one with the preserves and one batch with jellied cranberry sauce. Both were great and got rave reviews. The only change I made was to add a tbl of balsamic vinegar to each batch to cut the sweetness just a bit. Awesome!! I’ll bet the cranberry sauce was delicious!! Cooking time was confusing, , Could you be more explicit? Do you think this would be just as good using all hamburgers? Hi Neil! I’m not sure what you mean? 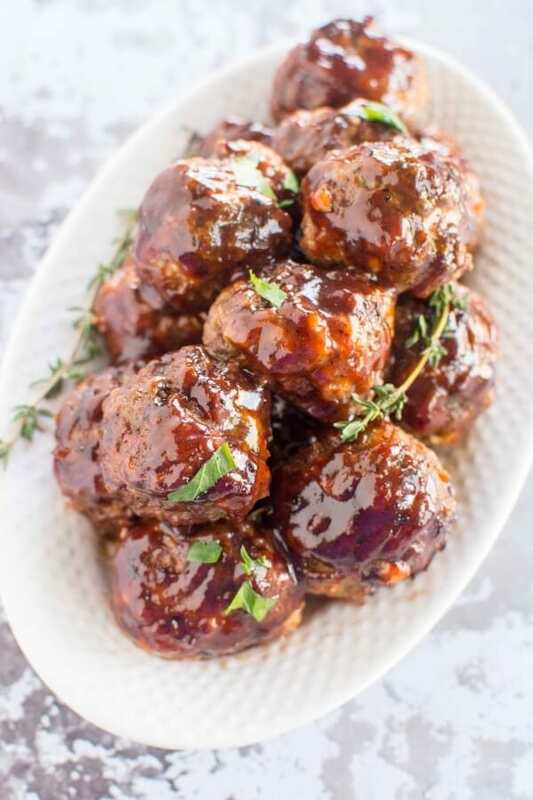 The instructions state to cook on high for 2-3 hours or low for 4-6 until the meatballs are fully cooked, can you tell me what your question is so that I can help you out? Also, I do think it’s better with the beef/pork mixture but it would also be possible to use just beef.